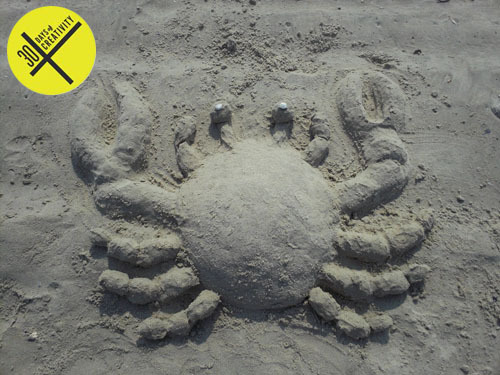 It appears to be the week of crabs at the beach. 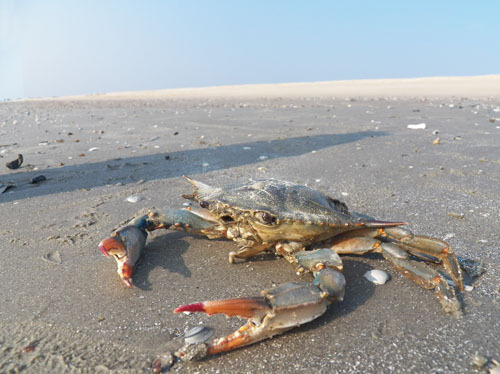 We saw dozens each day either scrambling back into the surf or dried up on the sand. Perfect inspiration for a sand sculpture for 30 Days of Creativity. All of your beach pics are giving me a serious jonesin' for the shore! Might have to make the trip this weekend...hope you're enjoying it!